Our lug nuts work with a 17mm socket for easier access on wheels with smaller stud mounting holes, such as the D-Force racing wheels. The open ended design works with all length wheel studs, stock or extended. 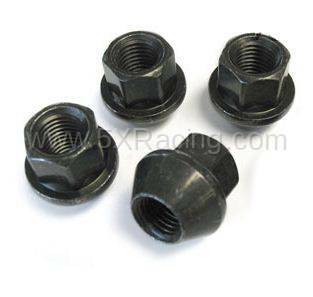 The 12 x 1.5 thread is what is used on stock Miata lug nuts, so these will thread onto your stock wheel studs or aftermarket studs made for the Miata, such as our ARP Wheel Studs.